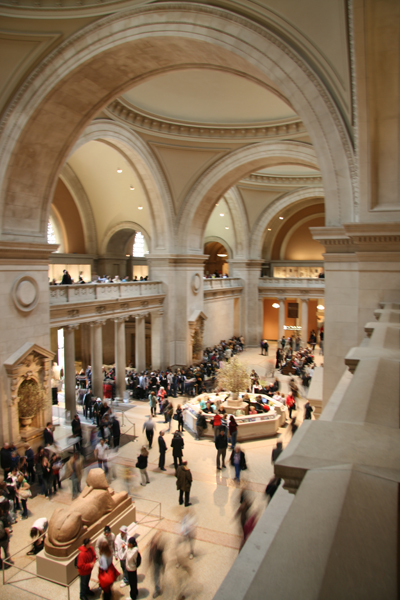 In Civilizing Rituals: Inside Public Art Museums (1995, Routledge), Carol Duncan argues that museum settings represent specific scenarios of civilizing rituals. She examines examples such as the Louvre Museum, the National Gallery of London and other institutions and illustrates how the formation and development of these art institutions were influenced by political, economic, historical and cultural factors of their original contexts【1】. Chapter 3 of the book, ‘Public Spaces, Private Interests: Municipal Art Museums in New York and Chicago’ analyzes the wave of new public museums in the U.S. at the end of the nineteenth century and at the start of the twentieth century. Duncan explains that even though successful local entrepreneurs took up the museum-building task on the basis of democratic ideas and beyond political and class interests, the actual developments of these museums and certain phenomena in their various stages reveal to be contradictory with their stated intentions.